Children’s overall healthcare should be taken care of as early as possible since it is essential for their growth. In dental care, children are advised to visit after their first tooth erupts (six months) or around their first birthday. It is to ensure their overall dental health is well taken care of, and the earliest signs of complications can be handled urgently. Undeniably, some parents tend to skip this important stage in their children’s health care due to the high costs of dental procedures. Thankfully, at Columbine Creek Dentistry we do not want our patients to neglect their dental health due to budget concerns. 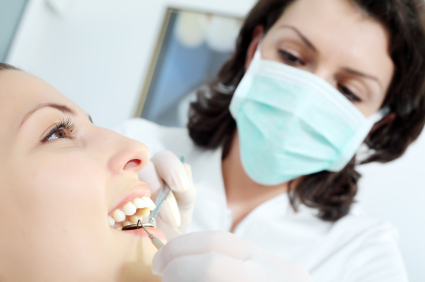 We are proud to say that we have flexible payment options and also accept Medicaid to offset the costs of dental care. Medicaid is a joint program of the federal and state to help people with their healthcare needs. It offers several benefits that help patients receive the health care they need despite their budgets. For children, Medicaid covers their dental care referred to as Early and Periodic Screening, Diagnostic, and Treatment (EPSDT) benefits. A referral to a dentist is usually required for every child depending on the periodicity schedule set by every state. The dental services covered by Medicaid should include relief of pain and infections, teeth restorations, also the maintenance of the dental health of children. If a complication is detected during dental screening, the state is required to provide the necessary procedures for the successful treatment of the dental concern. At Columbine Creek Dentistry, we accept Medicaid for people under the age of 21 years old to assist with the maintenance of their dental health. The States form and manage their own Medicaid programs and determine the amount, duration, type, and scope of services based on the federal guidelines. Federal law requires states to provide mandatory benefits and also allows the rules to cover other optional benefits for patient’s dental healthcare. Patients under the age of 21 years old can receive dental health care and maintenance despite their budgets. Children's dental care is required to be provided by the States ensuring their good overall health condition. Everyone deserves outstanding dental care services even on a budget! We provide Finances & Insurance in Littleton, CO. Book your appointment with us at Columbine Creek Dentistry and let us help your children achieve a beautiful and a healthy teeth!